I actually have three packages ready to go out tomorrow morning and some others rapidly approaching completion? What did I do with the real Lonestarr?! It must just be excess nervous energy from worrying about someone, and the fact that I’ve been slowly preparing a bunch of these things little-by-little at once when the mood strikes. But whatever the case, things are finally coming to fruition. 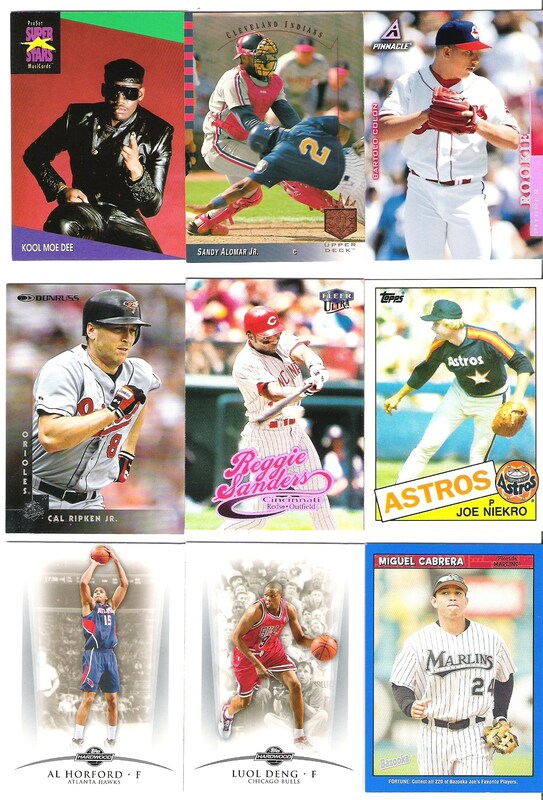 ♫ Indians cards on the way for Baseball Dad (he sent 20 or so Ryne Sandbergs that I will post about once I’ve scanned them) and David (my WAY late group break money order and a far too few cards in thanks for the Random Packs of Kindness). I can’t guarantee that there’s anything either of you can use, supercollectors that you are, but here’s hopin’. I can always send a little more on (lol) to you if you are unsatisfied. ♫ Lots of wonderfully dementedly random stuff for Matt of Heartbreaking Cards of Staggering Genius will also be on the way tomorrow morning. ♫ The long-overdue SASE for Mario of Wax Heaven is pretty much only waiting for the old Andrew Miller sketch card I did back before I had a teal marker to be inked and colored. It doesn’t seem right to not send anything, as cool and generous as Mario has been with me. Unfortunately, I have nothing else to offer right now besides my mediocre artistic talents. ♫ Piles have been set aside for Wicked Ortega (Marlins and Mannys and stuff) and codebreaker extrordinaire JD’s Daddy (Phenom Pitchers). ♫ I just need Night Owl‘s address and I can send out stuff to him any time, Dodgers being one of the first teams I organized back when I thought I had the iron will to get further than two teams into The Great Cardening of 2009. Looks like that’s everything that is progressed to near-completion. Shoot me an email if you wish to know more specifics. Hopefully this wasn’t too inane of a post. Just doing whatever I can to take my mind off, umm… things, and thought I’d let people know how their dealings with me are progressing, since I’m painfully, excruciatingly slow at this. Though I swore off all of Topps offerings in blaster form, I still have a few loose packs worth of A&G to add to the want/for trade list after I get some sleep soon, including a suh-weet Mantle Ginter Back Mini, a couple of which came after the blaster debacle. I guess I can’t fully resist the Allen & Ginter goodness, though no more blasters EVAR~! I’m pretty much done with it till whenever as of now though. My focus has very nearly completely drifted away from baseball cards to non-sport offerings. I am awaiting some as I speak, and the rest of the near future’s boxy offerings are of the entertainment variety. Nachos Grande– Send me an email with what you want if you still require anything you inquired about and your address, and I will just send them and some Reds along with no specific strings attached other than my vague wantlists (aka The Lonestarr Special~! ), because I’m not completely sure what my nice haul from the A&G group break does to my A&G wantlist. Box Opener I’m not sure there was anything specific mentioned, so I don’t know where to even begin. Night Owl– I have a Blake DeWitt ’09 A&G bat card if you need it still. 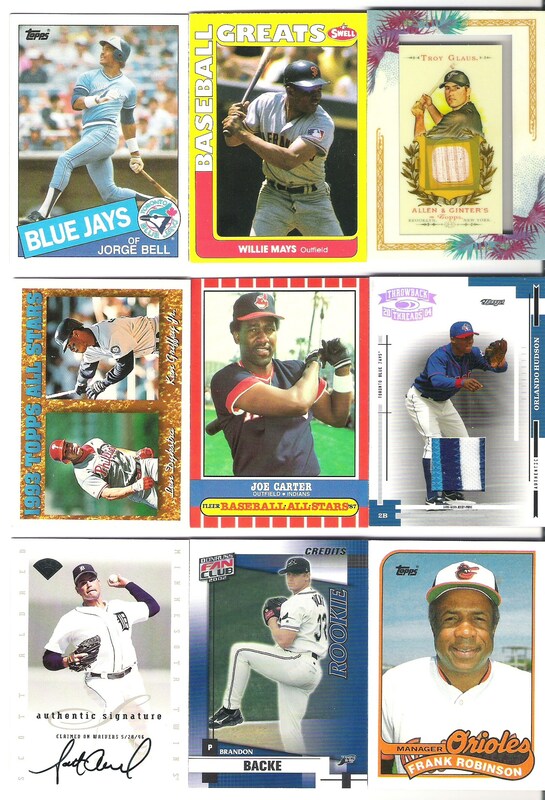 Also plenty of assorted Dodgers of note, including a couple other “hits”, if lil’ Blakey isn’t enough. Well, I guess it doesn’t matter, I always send team stuff anyway, so I’m sure I can make giving up the Fukudome jersey worthwhile. I can get more specific via email if you wish. Beardy– I’m not sure if my comparably paltry number of A&G cards can help you out any, but I’ve got a decentish-sized stack of Orioles with probably something to get ahold of that No Number Aramis Ramirez Mini. 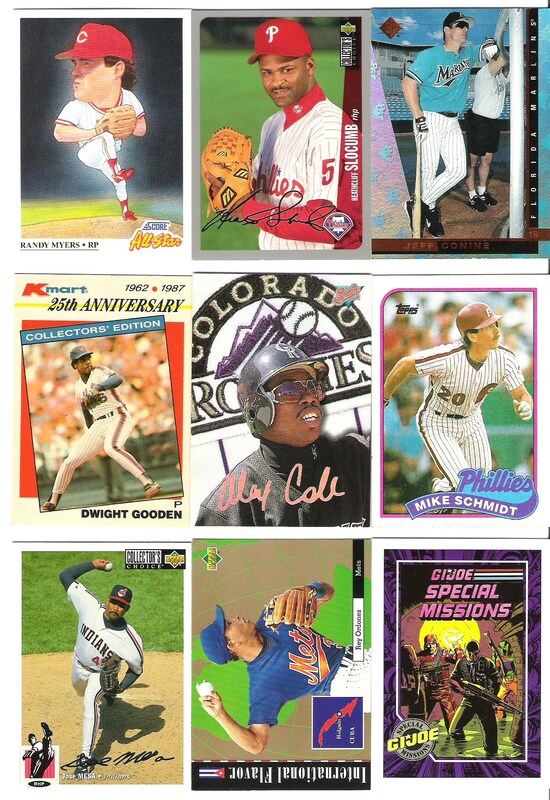 Sharpe Since ’92– I can hook you up with some minis for the cards you offered. I’ll need to thoroughly go over the A&G group break stuff to know specifics again though. I know it knocked a few off, but my attention span hasn’t let me get there yet to see what’s what. Sac Bunt‘s Chris– One of these years I will get to it. Wicked Ortega– I haz Marlins cards & stuff. Will trade. Marie of Cardboard Problem and Upper Deck Blog– Just need to find out about the Canos & such. The Pujols sketch card will be done once I get some sleep. New markers FTW. Sooz of A Cardboard Problem– Did I reply to the Ichiro list email? I thought I did, but it isn’t in the sent or trade folders, so I’m not sure what the deal is. David, the king of the Generosity Tribe… I totally flaked and forgot about the money order until I actually saw the box break happened. I have the money order, but I don’t have your address. On the Packs of Random Kindness bubble mailer, it is partially ripped away, and the Seattle Mariners pack of kindness bubble mailer one is long gone it appears, so if you get this message, please email me please. Once I have it, I will send along a small (because I’m fairly severely lacking in your team) selection of Cleveland Indians cards as a thank you for your packs of kindness and hopeful tolerance of my forgetfulness. If there is anyone I missed, and I’m sure there was, please get in touch. If my email addy isn’t available through my WordPress blog somewhere (I honestly don’t know), then check my Google profile please. It’s also Lonestarr, but with a Walt Bellamy card as the avatar. Can’t miss it probably. That’s all for this one sports fans. 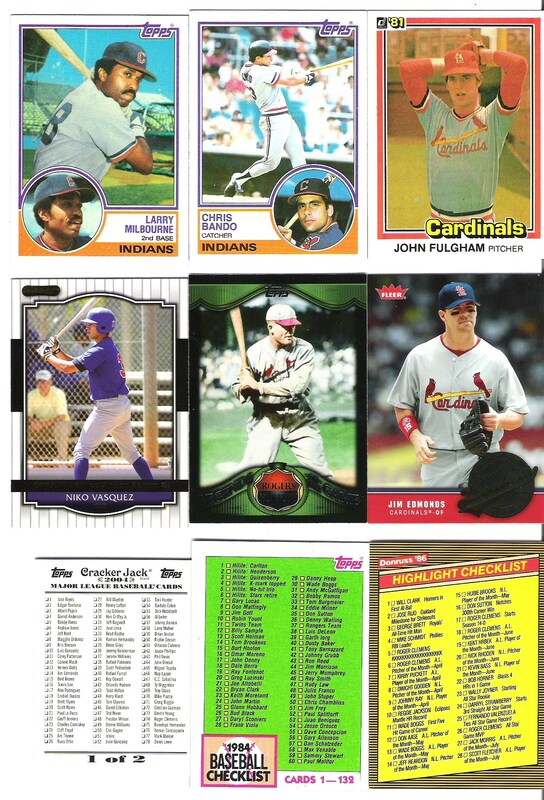 Tune in next time for the Northside half of White Sox Cards‘ exceedingly great packet from not long ago. After that look for a three-parter to get my poor Gint-A-Cuffs showing officially posted and out of the way. Let’s just say I’m near the bottom of the pack in that one. Bleh. So here’s another time-buying quickie while I deal with several partially finished posts and documenting my ridiculously awesome RANDOM PACKS OF KINDNESS from David for future posting considerations. Yes, they were so awesome I had to put them in caps and italics. Maybe I’ll get around to tackling the seven or eight emails I need to send out before I go on to other stuff tonight. Maybe. This beaut cost me all of 99¢+ shipping on eBay back in the day, and it just seems like right time to post it, with both guys getting headlines recently. Congrats on FINALLY getting into the Hall of Fame, Jim Rice! You have certainly earned it, sir. I hope it was worth the wait. Life’s too short to hate… especially someone as likable as Big Papi. My box of cards is due to arrive sometime between 9am and 7pm today. But before we get to that, let us look back. Here’s a list of all the other things that came up in the week or so I’ve been trying to get my To Do List done. I stumbled into an art trade with a very talented sketch card artist. I’m really gonna have to step my game up to make an acceptable comic version of Gambit for her. I may have found more cards for Marie of A Cardboard Problem. I need to email her about those soon. My Americana blaster break aroused the attention of the proprietor of the Shot Not Taken blog. So we are now in the process of working out a trade that started with real life freakin’ ninja Gerald Okamura. This one will be a ways down the road before it’ll be return the favor time, but Indians Baseball Cards. And then some… has some random packs of kindness to offer. And I took him up on a Mariners one. I guess you can get in on multiple teams, which I’ll do once the Cubbies roll around, and maybe a couple other teams that aren’t otherwise likely to get much play. So I’ll definitely have to send something nice in return down the line. Fortunately, this is one I was fully prepared for, so I didn’t really have do go out of my way for it. When asking Dayf about bubble mailers, I also got his address to send him some Braves and anything else I might have that would be useful to him. My Braves are pretty much in order I think, so this one will be easy enough to do as well. Aside from the sketch card, nothing too major or that I’m in a hurry on. Just thought it’d be fun to mention everything else that popped while I was getting things ready. I just hope I have enough bubble mailers for all new this stuff though!